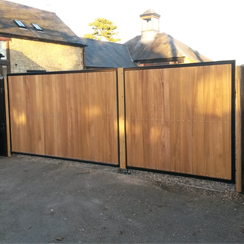 “Everyone here is delighted with the gate and the service provided by AutoGate Services. 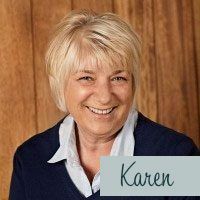 They were amazing from start to finish and very efficient, as well as courteous and kept everything tidy during their week on site. I made lots of tea (as well as sandwiches and cakes on occasion) for which Paul and Chris were very grateful for but unexpecting of. Everyone is now able to return home and park in their allotted space and the dustmen have no problems with getting in and out either, and therefore a great improvement for many people. 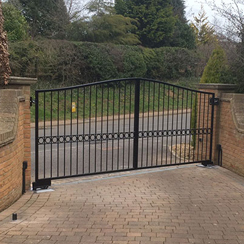 “I wish to give some feedback on our recently fitted Automatic Gate. We are delighted with the finished product which looks very appropriate in its location. 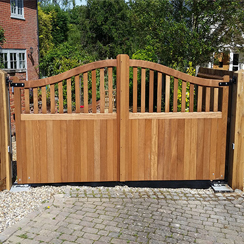 I was particularly surprised and pleased at the fact that the hydraulic method on the back of the gate was not used and the overall ‘’look’’ is so much better. All credit to your team led by Paul for quick clean work and all advice and instruction offered. 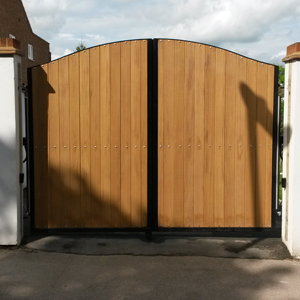 The team were very polite and friendly and the whole process was very positive. I would be happy to recommend your work to anyone. “With the last mods made yesterday to the gate, this completes the installation and, frankly, everyone is thrilled. I appreciate that this installation tested the AutoGate Team and wasn’t always straight forward. However, by working together we have achieved an outstanding result and the residents are quite rightly, very proud of the end product. As too should everyone at AutoGate. Please can you extend my thanks to the whole team”. “Really excellent on all counts. Thank you! 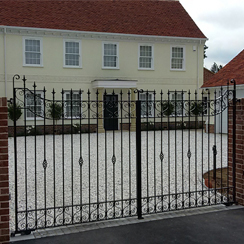 “Overall the project was carried out in a very professional manner. Very impressed with all personnel on site; polite, courteous, and great skills applied throughout. A great job well done! !